Although movies based on video games have a reputation of not being that great, other movies with video game themes (not directly based on a particular video game) have actually been pretty great like the 1983 classic WarGames, even if others films like the more recent Pixels were clearly not movie masterpieces at all. So without further ado, here follows a list of 5 movies with video game themes. 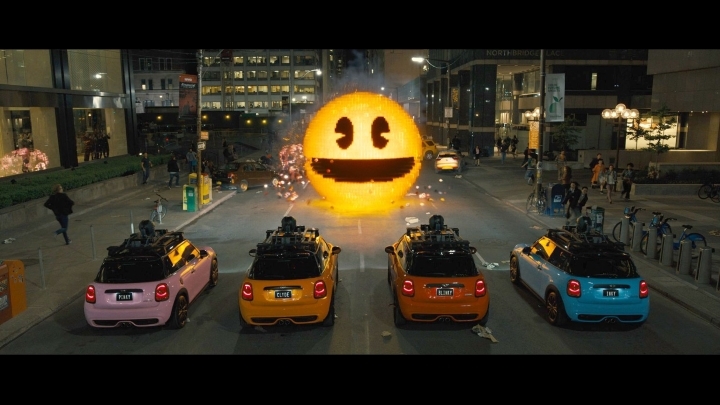 Adam Sandler’s 2015 sci-fi comedy Pixels at least has an original premise: aliens respond to an interstellar message sent by humans by attacking the Earth, misinterpreting the message’s video game content as a declaration of war… What’s more, these aliens certainly show a sense of humour by taking the shape of iconic video game characters like Donkey Kong and Pac-Man in their all-out assault on Earth.